We all know Abraham — an imperfect man, but one of unfathomable faith as he obediently put his son Isaac on the altar in Genesis 22. 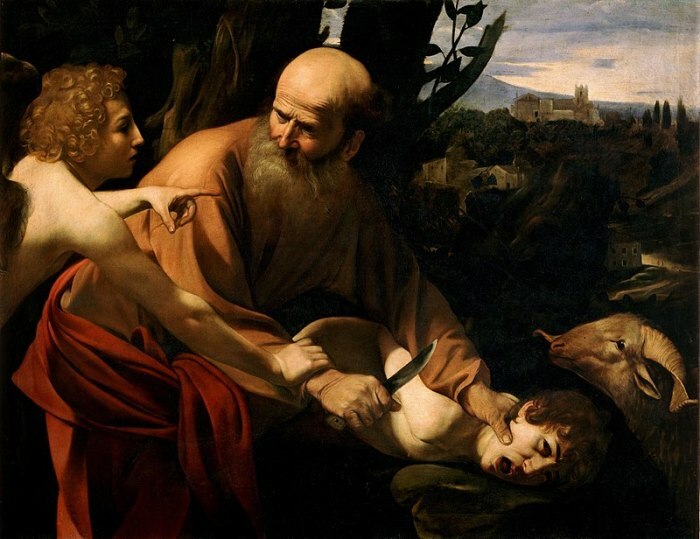 But in Genesis 24, we see an awesome picture of faithfulness in Abraham's servant as he ventures to Abraham's homeland, at the request of his master, to find a wife for Isaac. If we break down this narrative, we see several steps emerge, and this unnamed servant (possibly Eliezer, according to Jewish tradition), becomes an unlikely model for us for faithful service in our own workplaces. Step 1: He gets his instructions and makes sure he's got them straight. He's a good steward of his position (Gen. 24: 1-9). Do you fully understand what your client or your boss is asking of you? Ask questions and seek understanding of not just the requirements of the task but also of the purpose of the task. Abraham's servant cared about Abraham, so securing a wife for his son was likely a task close to his own heart. Connecting to the purpose your boss has in mind helps you to see the bigger picture of why you were chosen for the task. If you can't get clarity from your boss in the purpose of the task, ask God to reveal it, as you step forward in faith. Step 2: He set out. You've got to take action to be a servant (Gen. 24:10). Jesus requires action of us, not just feeling. Although you may have completed Step 1 successfully and connected emotionally or spiritually to the task, nothing gets done until something gets done. God will guide your footsteps, but he will not take them for you. Set out, one step at a time. Get something done today, even if you haven't clarified the bigger spiritual connection to it yet. In his book Monday Morning Success, Hugh Welchel helps us understand this. Looking at the motivation of each of the stewards in the parable of the talents (Matt. 25), Whelchel points out, "the invitation into the joy of our master should be our prevailing motivation for work." Step 3: He prayed. He acknowledged who was in control and asked for his success and a blessing for his master (Gen. 24:12). Wow. What if we all did this at our jobs? If we took the time to pray Psalm 20:4 not just over our personal life, but over our bosses—what impact might we have on the assignments chosen in the first place? Psalm 20:4: says: "May he give you the desire of your heart and make all your plans succeed." This does not mean God will grant our every wish, but rather as we pray, the Holy Spirit will work in our hearts to make our desires be in accord with God's own desires for us. Once our desires come into alignment with his will, then we are praying that all plans related to those desires will succeed. Step 4: Trust that God will answer your prayer. It is acknowledged twice in the text that God answered his prayer before he was done praying (Gen 24:15, 45), but the servant doesn't question God's timing. This requires discernment, which is a gift from the Holy Spirit. Sure, we would all love for our prayers to be answered before we're even done praying them! The main point to remember is that God's timing is exact and purposeful, and our thoughts and ways are not his (Is. 55:8-9). Step 5: He watched what was happening to confirm God's hand; he practiced discernment in action (Gen 24:21). If you are not sure whether something is God's will, go to prayer and go to his word. If your plans or circumstances are consistent with scripture, consider yourself blessed. If they don't align, consider yourself blessed for the discernment to know otherwise and then move on. Praying for wisdom and discernment in all aspects of our life is imperative for godly action. Step 6: He worships God and gives God the glory in the victory (Gen 24:26-48). This is an incredible challenge for us in a society that loves accolades, awards, and distinction—especially in the workplace. If your boss came to you today with the intention of giving you a raise for your outstanding work, would you be bold enough to graciously receive the accolades but give the glory to God? Step 7: Success is perceived, but he still continues to let God handle the result (Gen 24:49). We have all experienced the emotional high of securing the big account only to see the contract fall through a week later. Even in our most "victorious" moments, we are to ask for his will to be done unconditionally. The opposite is also true; in our perceived "failures," we should be quick to humble ourselves, ask what we can learn from the situation, and give God the glory. Sometimes, the very client you "lost" is the one God protected you from. God's view of success may not align with your company's financial goals, but it always aligns with your being transformed into his son's image. We have much to learn from the unnamed servant. His journey is a total success from following these steps. As Hugh Whelchel has said, "When we live out a life of excellence at work, our witness takes on a whole new meaning." This article is copied with permission from the Institute for Faith, Work & Economics (www.tifwe.org). The original article appeared here. IFWE is a Christian research organization committed to advancing biblical and economic principles that help individuals find fulfillment in their work and contribute to a free and flourishing society. Visit https://tifwe.org/subscribe to subscribe to the free IFWE Daily Blog.